Hi, I'm a personal trainer who trains a lady with cats, Misty and Latte. They are gorgeous and hilarious. At the end of our sessions I always take cat video to show my boyfriend who loves cats, but we can't have any because I'm allergic to them. I used to be a film sound editor, and I love messing around with iMovie, so I decided to make a cat video so everyone can enjoy the love story of Misty and Latte! 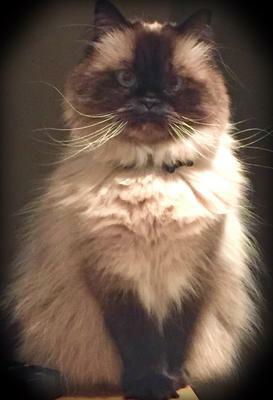 Latte, The Handsome Himalayan, was alone... that is, until Ms. Misty suddenly arrived!